At times artists, although finely talented, are over-shadowed by others or even the place which they portray. Two artists who might be in this category are Thomas Bushby and Joseph Middleton Jopling. We begin with #ThomasBushby (1861-1918). An artist who lived in the Lake District. As a resident of Carlisle, he is known for his watercolour studies of his adopted city. The Lake District has probably inspired more artists of all persuasions than any other place in England. This area has over-shadowed many an artist who has travelled here to gain inspiration and restoration. 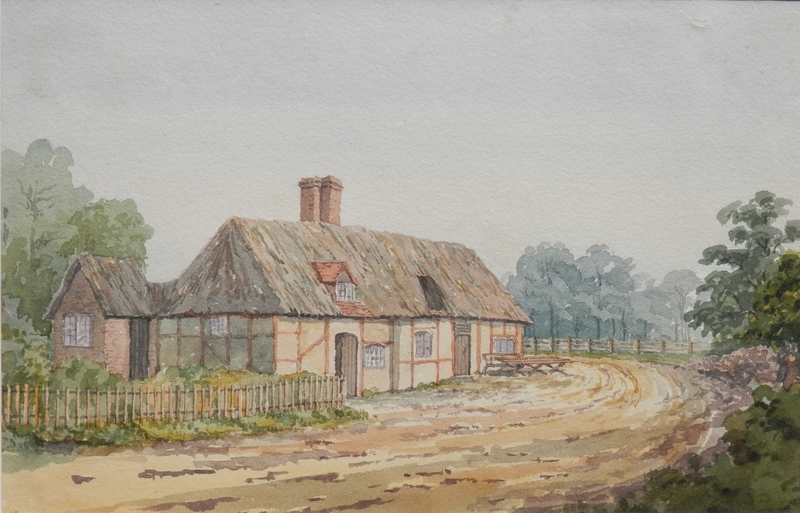 Bushby was a watercolour artist and a fine one as can be seen from the ‘Barley Mow’. The #BarleyMow is not found in the Lake District but just outside Oxford. It has been called ‘the best known of all Thames pubs’ and dates back to 1352. #JosephMiddletonJopling (1831-1884)is not a well known artist. Not untalented but not renowned. He exhibited regularly; mainly domestic and historical subjects as well as flower and fruit pieces. Jopling was self taught. His works are overshadowed by those of his wife, #LouiseJopling, who was one of the most prominent female artists of her generation. She established her own school for women artists in 1887 and published several pieces on the teaching of art. 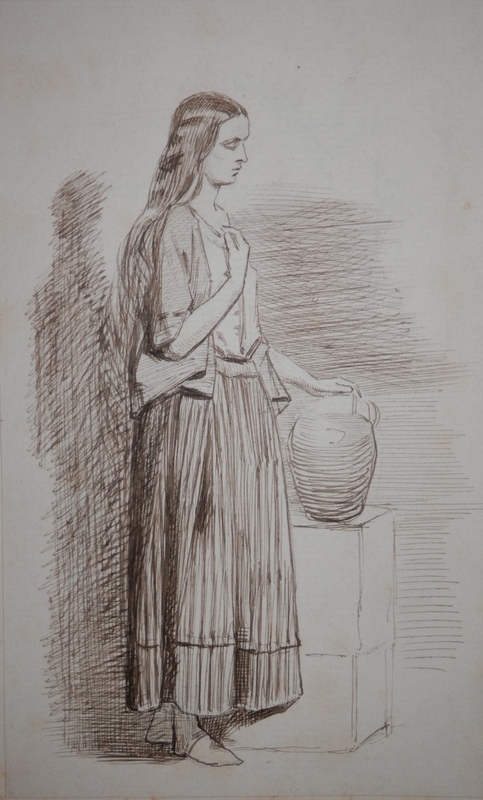 Whether the woman in the sketch might be Louise Jopling, I do not know but it might just be. Two artists of definite talent, overshadowed either by place or person, yet deserving of some reputation for the work which they created. This entry was posted in Drawings and Sketches, Watercolour paintings and tagged Baelry Mow, copse, inn, jar, jug, lane, picket fence, pub, road, woman. Bookmark the permalink.